Wow the Bride-to-be on her Hen Do by serving tasty treats at the party with these fabulous napkins. 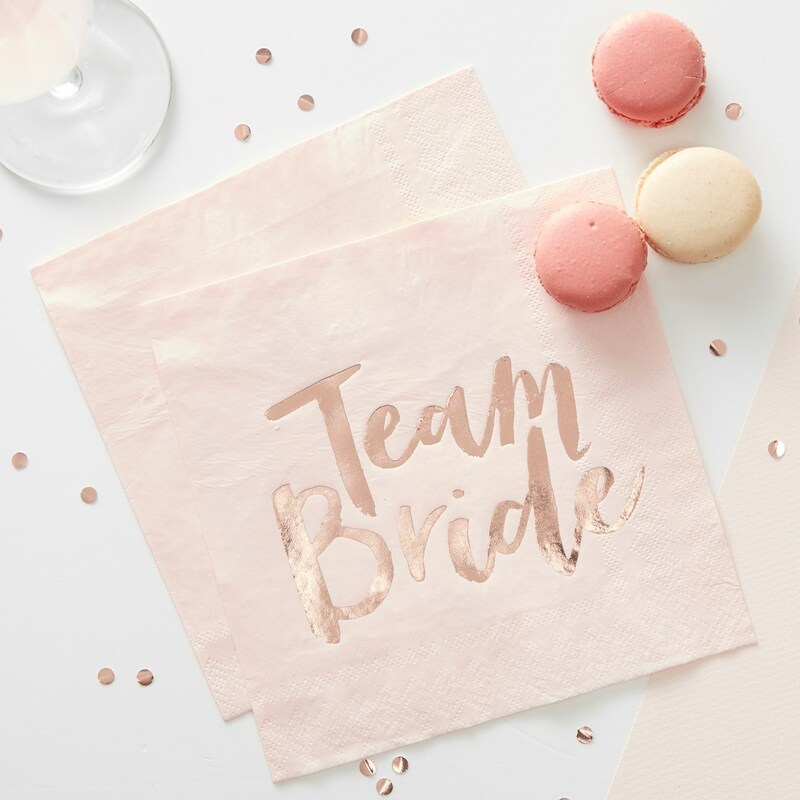 These chic napkins have a stunning Team Bride design which is foiled beautifully in rose gold - super trendy! Each pack includes 20 napkins which measure: 330mm squared when folded out. Napkins are 3 ply.